Wandering Isle is the Pandaren starting zone. It is located on the back of Shen-zin Su, a giant turtle that has been wandering for centuries in the oceans of Azeroth, unbeknownst to the Alliance and the Horde. Below, you will find the map of the area. Further in the guide, you will find the storyline, many screenshots, and a list of the quests. You will play a young Pandaren recruit whose training under the revered Master Shang Xi has just started. As your training progresses, you will be tasked with investigating the reasons behind Shen-zin Su's recent illness. 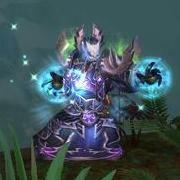 In order to communicate with Shen-zin Su, you will needto gather the four Ancient Spirits. Each of them is located in a specific part of the island where you will need to complete a few quest in order to recruit the local spirit. After being granted an audience with Shen-zin Su, you will learn that she has been wounded by a thorn, which, you will soon realize, is the Skyfire, an Alliance aircraft that crashed on the Island, in a place where the Pandaren do not usually venture. The aircraft was carrying Horde prisoners, so the Pandaren gets to meet both the Alliance and the Horde. After removing the aircraft from Shen-zin Su, you will have to decide which faction you want to join. 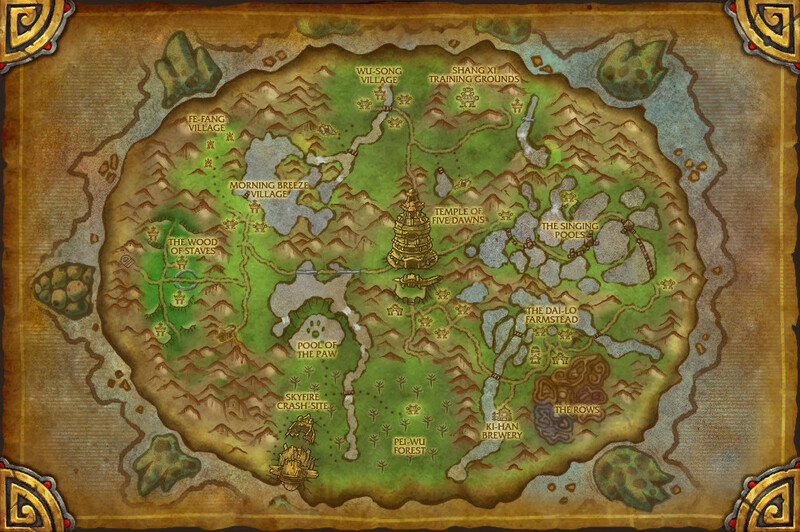 The quest progression is very linear, taking you from zone to zone, with frequent stops at the Temple of Five Dawns, which represents the main connection between the various zones. This zone comprises the Shang Xi Training Grounds and the Wu-Song Village. This zone comprises, the Dai-Lo Farmstead, the Ki-Han Brewery, and the Rows themselves. This zone comprises the Pool of the Paw, the Skyfire Crash-Site and the Pei-Wu Forest itself.